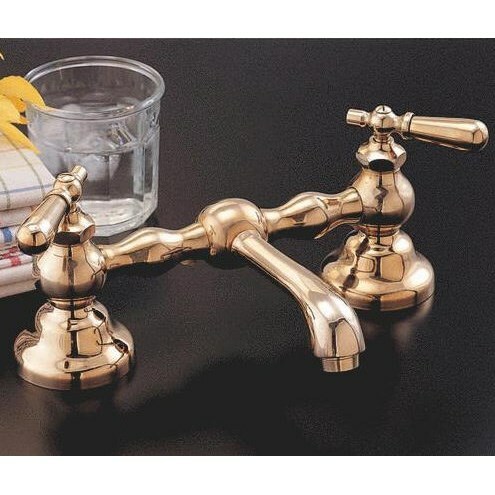 Columbia Faucet Set with Straight Spout with Brass Tear Drop Lever Handles. Minimum hole size for installation is 1-1/4 inches. Maximum counter thickness 1-1/2 inches. Solid brass construction available in Chrome, Polished Nickel, Lacquered Brass, Matte Nickel or Oil Rubbed Bronze finish.